How to LAUNCH your Child’s Acting Career in TV & FILM – Instructed by Atlanta’s #1 coach for young actors, Erik Lingvall. 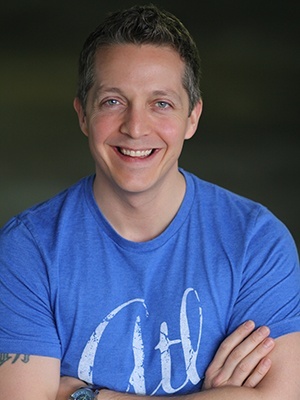 Originally based out of LA & the winner of Backstage’s Readers’ Choice for Atlanta’s Favorite Acting Coach, Erik Lingvall brings with him over 15 years of experience guiding and training young talent throughout the country. Erik’s growing list of working actor clients can be seen in projects like: The Walking Dead, Batman V Superman: Dawn of Justice, Terminator Genisys, Short Term 12, Disney’s Dog with a Blog, Raven’s Home (That’s So Raven spinoff), Daddy’s Home, Pretty Little Liars, Jersey Boys, House of Cards, Nashville, Parks and Recreation, NOAH, The Maze Runner, and many more. The best roles for young actors in Hollywood are no longer being booked by the kids in Hollywood…they’re being booked RIGHT HERE in Atlanta. And there’s one studio who is training and connecting the vast majority of these young actors with the right people and right path…Catapult Acting. Catapult’s focus is training young actors, ages 8-14, who are looking to launch a career in TV & FILM. Note: Please leave the little ones at home. Tweens and Teens are welcome. Thank you for understanding!